It’s not often that an industry with multi-billion dollar growth potential materializes out of thin air. Despite the morality issues, legal risks, and ethical concerns that plague the marijuana industry, investors – big and small – are buzzing about the rise of marijuana. Whether you are an activist, looking for any way to help push the industry forward, or simply have dreams of doubling and tripling your money overnight, here is what you need to know. If you are an average person with no in depth marijuana industry insight or business experience, the easiest way for you to get a piece of the marijuana industry is by buying stock. A good place to find marijuana companies that are offering equity to the public is http://marijuanastocks.com/. The first thing you might notice is that shares in the marijuana industry are not listed on the major exchanges and are instead available over-the-counter (OTC). If you are not familiar with OTC trading (otherwise known as penny stocks), OTC or off-exchange trading is done directly between two parties, without any supervision of an exchange. It is contrasted with exchange trading, which occurs via exchanges. A stock exchange has the benefit of facilitating liquidity, mitigates all credit risk concerning the default of one party in the transaction, provides transparency, and maintains the current market price. In an OTC trade, the price of shares is not necessarily published for the public. There is an inherent danger in this as there is reduced oversight, and therefore increased risk with OTC stocks. In regard to marijuana stocks, The Financial Industry Regulatory Authority (FINRA) recently warned investors about potential scams associated with marijuana-related stocks. In particular, FINRA warned about the well-known ‘pump-and-dump’ scheme, in which, fraudsters lure investors with aggressive, optimistic — and potentially false and misleading — statements or information designed to create unwarranted demand for shares of a small, thinly traded company with little or no history of financial success (the pump). Once share prices and volumes reach a peak, the con artists behind the scam sell off their shares at a profit, leaving investors with worthless stock (the dump). 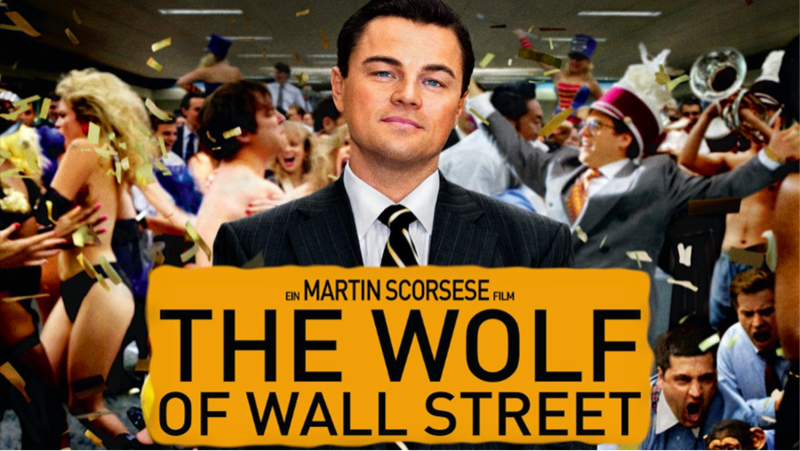 If you’ve seen the popular movie “The Wolf of Wall Street,” the pump-and-dump scheme is the same method employed by Jordan Belfort and his associates to defraud investors and make millions. For example, Growlife (PHOT), a large ancillary marijuana company that develops, markets, and deploys horticulture equipment and supplies, had the trading of its shares temporarily suspended by the Securities and Exchange Commission (SEC) in April of 2014. The SEC cited “questions that have been raised about the accuracy and adequacy of information in the marketplace and potentially manipulative transactions” in its shares. The root of Growlife’s problem was that a few unaffiliated investors decided to send fraudulent and misleading ‘blast’ emails through promotional websites and email addresses under their control with the intent of increasing demand for the stock. After several weeks of vigorous promotion, Growlife’s stock price artificially increased from 2.5 cents to 50 cents per share. The shares were then dumped for a profit of $223,000. Once the SEC got involved, Growlife fell back down to 2.5 cents a share and now, a year later, is being traded at 2.4 cents a share. Although this occurrence was not completely Growlife’s fault, reduced oversight and regulation of the penny stock market allows for scenarios like this to transpire and are exactly what potential investors in the marijuana market must be wary of. Rarely will you invest thousands (or millions) of dollars into an unknown penny stock and see your money double overnight. If you are looking to make an investment in the marijuana industry with potential for sky-high returns (but also unmeasured risk), you might consider making a private investment. Sky-high returns are routinely found in one place – heaven – and to get there, a pair of wings, and maybe even a halo, are essential. Enter the angel investor – an individual who provides capital to a business start-up in exchange for convertible debt or ownership equity in a company. Angel investors are usually affluent individuals who buy in to early-stage start-up companies in order to obtain a high return on their investment. The best angels are experts at spotting emerging markets and utilizing their keen business instinct and knowledge to help young companies find success. If you are interested in this type of investing, a good place to start is a website like AngelList. At AngelList you can sign up, connect with marijuana start-ups, and apply to invest in companies looking for funding. A more serious angel might consider joining an investor network like The ArcView Group. ArcView is a company that “facilitates the emergence of the legal cannabis industry by connecting investors and visionary entrepreneurs in an effort to meet the expanding and changing needs of responsible cultivators, dispensaries, and customers nationwide.” As a member of ArcView, early stage marijuana companies that are serious about getting funded come to you to pitch their ideas. However, you must be an accredited investor in order to participate, and you can be sure that there are fees associated with becoming a member and making investments. To date, The ArcView Group claims to have funded over 50 companies with over 40 million+ dollars invested. When deciding whether to invest in a particular market, a good way to measure the investor safety and security of the industry can be by watching what the big venture capital firms are doing. Similar to angels, Venture Capital (VC) firms also make high-risk high-reward type investments, but usually invest millions (as opposed to thousands) of dollars into earlier stage companies. Venture Capital firms normally have access to a large pool of capital that includes contributions from pension funds, private individuals, and other sources of big money. A key difference between VCs and angels is that VCs normally invest substantial time and money into due diligence (background checks, financial, market, and legal analysis) before they make an investment. When the time finally comes that a reputable VC firm invests in a company, there are usually several compelling justifications underlying why the investment is warranted. Recently, Founders Fund, an investment firm created by Peter Thiel, joined a Series B round of funding worth $75 million for Privateer Holdings. Privateer, as I discussed in my last post, is a large marijuana-centric private equity fund that is investing millions into large-scale marijuana ventures throughout North America. Founders Fund did not disclose the exact amount of its investment in Privateer, beyond mentioning that their contribution was worth “multi-millions” of dollars. To date, the investment by Founders Fund is undoubtedly the highest profile investment in the marijuana industry and could be a telltale sign that the time is now to invest in marijuana. Similar to owning a business in the marijuana industry, finding success at investing in the industry has a lot to do with your own personal tolerance for risk. If you aren’t the risk taking kind, you might stay away from the industry all together and wait until marijuana becomes more nationally accepted. If you really want to play it safe and position yourself for the future of the industry, you might look to big tobacco stocks for safety – one of the most probable industries to expand into marijuana. If you want to test the penny stock market, do your research before you invest and be wary of suspicious stock price movement. If you want to break into the market as an angel investor, learn the business landscape and invest in companies that you truly believe in. Additionally, know that the biggest risk of all is that the federal government could, at any time, decide to pull the plug on the entire marijuana legalization movement. And lastly, remember, the higher the risk, the higher the reward.